EA is rumbling up a storm to help give gamers a new way to pay for their video games. 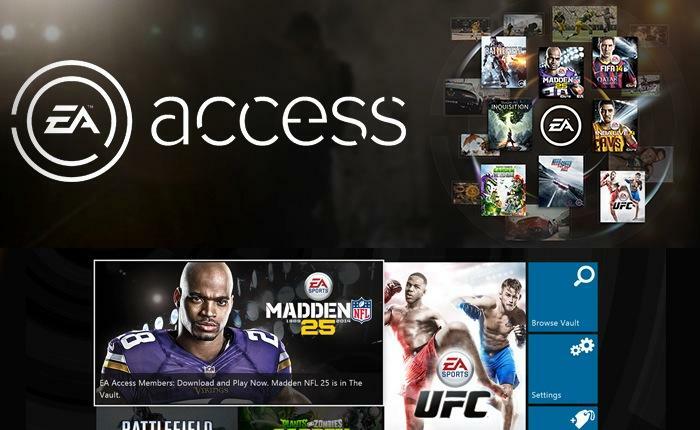 EA Access is promising to deliver free gaming experiences to the Xbox One and early access to the latest games for the just subscription price of $30 a year. Some think it's a great value, and others do not. According to EA CEO Andrew Wilson in an interview with GamesIndusry.biz, this is just the beginning, citing that the modern digital age makes it essential to judge value, not guess at what gamers want anymore, and to give gamers lots of options. It doesn't matter whether you spend a $1, $10 or $100,000, as long as you're getting value from what you've spent then you'll feel good about that. EA Access feels like tremendous value, and whether you continue to feel good about paying whatever it is for a frontline product comes down to our ability to to deliver value. Back in the day it was all about delivering $60 of value; now, I want to deliver $1 of value if you want to spend $1, I want to deliver $10 of value if you want to spend $10. Wilson also stresses that just because EA Access exists doesn't mean people are going to have to stop buying games traditionally as well, whether they prefer to pick up a physical disc or a straight up $60 download purchase. "Convenience is a wonderful thing," he says of digital gaming, and he uses himself as an example of still buying vinyl as to how some gamers can still enjoy traditional media through a medium that goes against market trends. Does that mean people will stop paying $60 for games? No, but there's a big part of the population for whom that [EA Access] is the right context, that's the right way for them to engage with games. This is very true. EA Access is not for me, especially because I don't like the idea of having my game collection held hostage for a subscription fee every year. Again, it's why I don't lean too much on the PlayStation Plus Instant Game Collection these days. I like owning my things, and I like the idea that once it's mine, it's mine. EA Access doesn't allow that for me, but at the same time, not everyone is a stubborn old mule like myself and doesn't mind playing a game for a limited time before ditching it and never looking at it again. EA Access is just another option, one of the many that Andrew Wilson has in mind for EA's customers. "We haven't always been great listeners, but we're getting better"
My guess is that this will catch on with other publishers if proven successful, and who knows if they will stab us in the back by scrapping physical and digital purchases? I'd like to hope not, and taking off my tinfoil hat for a second, I sincerely doubt that they'll ever be able to "take our games away" like the worst case scenario paints. As long as there are customers out there willing to spend $60 on a video game, the option will always be there. At the same time, essential multiplayer elements have been lost with server shut downs and other games have outright died forever once the popularity expired. I fear that the future of gaming is one that doesn't allow you to go back and explore classics and gems like we are able to now, all because we sacrificed our ability to own games for the sake of convenience. Think all games will be available through these new digital means? How's that workin' out for you, Suikoden II fans?